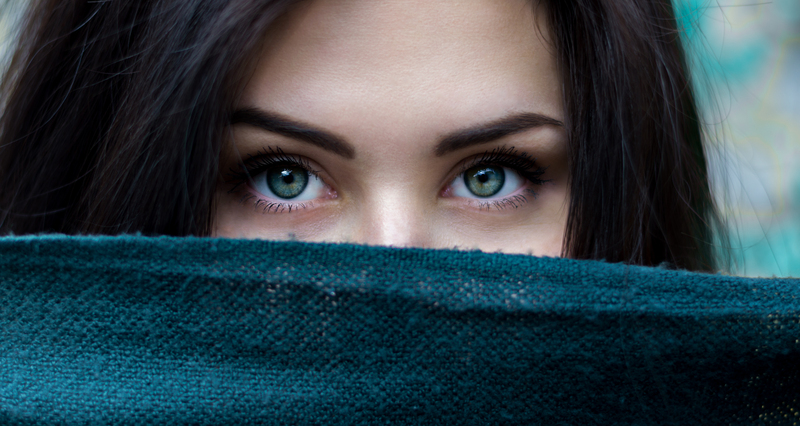 Allergan planned to launch a new “Eyepowerment” campaign, to help empower those who suffer from symptoms of Chronic Dry Eye such as red or itchy eyes. They hoped to prove that eye language is so powerful that sufferers of this condition often unintentionally send the wrong message with their eyes as a result of their symptoms. But they needed hard evidence to back up their claims. We partnered with Allergan to conduct a nationally representative survey to identify the role eye contact plays in relationships, communication and the way we perceive others. In fact, we found that close to half of Americans (53%) say eyes are the first facial feature they notice on another person. And the eyes may be what they notice first because they are so telling. Americans say eye behavior creates a shared connection (36%) leave a positive impression (35%) and increases one’s likeability (29%). However, they’re revealing beyond emotions as nearly 3 in 5 (57%) Americans feel they can tell if someone is listening to them simply by staring into their eyes, and over a quarter (28%) believe eye contacts reveals to others if they’re being truthful. Please see the full press release from Allergen below, and learn more about the role eyes play in non-verbal communication. DUBLIN, Feb. 27, 2017 /PRNewswire/ — “Before we had our voice, we had our eyes,” is the powerful opening message from Allergan’s new campaign to raise awareness for Chronic Dry Eye. The campaign, titled “Eyepowerment,” aims to empower individuals who may be struggling with symptoms of Chronic Dry Eye to talk to their doctor. Research shows emotions are read in one another’s eyes, but redness, itching and watering eyes – all common symptoms of Chronic Dry Eye – may unintentionally send the wrong message. Through Eyepowerment, Allergan’s goal is to educate people on eye symptoms that may indicate Chronic Dry Eye disease and empower them to talk to a doctor. Eyepowerment aims to highlight game changers, trail blazers and statement makers that have inspired and empowered others to reach their full potential. The faces of the campaign are those that embody the spirit behind Eyepowerment, whose presence – and eyes – helped tell their personal story, reveal their character and leave their mark on the world. The Eyepowerment campaign is fully integrated and includes digital, social, television, print and public relations support. The Eyepowerment social media channels and landing page launched on February 24 and offered the official debut of the new advertisement. In addition, Allergan partnered with celebrity influencers to engage consumers during the airing of the awards show on February 26 to kick off the Eyepowerment concept. Fans were encouraged to share selfies of their eyes on Twitter to show that eyes are more powerful than any red carpet dress, using #Eyepowerment and #Donate. For every #Eyepowerment shared along with an “eye selfie”, Allergan will donate $10 to Dress for Success, up to $25,000, to help the organization whose mission of empowering women is so closely aligned to Allergan’s. The campaign will be further supported with broadcast spots beginning in early March and print kicking off this summer. Join the Eyepowerment conversation by following @Eyepowerment on Twitter and using the hashtag #Eyepowerment. Visit Eyepowerment.com to learn more.